The good news is that our brand-new Chevy Bolt EV is back from the service department. The bad news is that after only eight days in our possession it had to be towed from our house to the Chevy dealer because it wouldn't start. That's actually an understatement. It was a very dead Bolt. The key fobs wouldn't even open the doors. Being a nerd, I'd read the section of the manual for what to do when the fobs won't open the door. So I proceeded to figure out how to take the plastic cover off the door handle without scratching the paint. Fortunately, the mechanical key will pop the handle cover off safely. I did so, entered the car, proceeded to take everything out of the center console that we had just put there, and carefully placed the fob in its designated position. Not a flicker, not a buzz, not a beep (and modern cars are all about beeping at you). Nothing. Dead, dead, dead. Now it was time to get serious. I popped the hood and dragged out my Fluke volt-ohm meter (VOM in the trade). That's a long way from 12 volts. I don't think I've ever measured a starter battery with such low voltage. I should interject here that electric vehicles (EVs) use a 12-volt or starter battery to power all the electronics. Without the 12-volt battery an electric car won't go anywhere. You can't even put the car into neutral without the 12-volt battery powering the car's computer. And the computer controls everything. So, despite what most people think, that big, powerful lithium-ion traction battery can't do anything if the 12-volt lead-acid battery is dead. It's the weak link in all EVs. Our other car is a Chevy Volt--that's the one with the "V" for victory. Its starter battery is in the rear. To jump-start the Bolt with the Volt I'd have to back the Volt up to the Bolt. You can see how this quickly gets complicated. 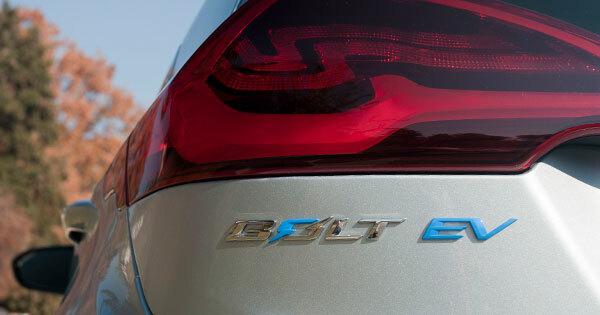 The Bolt is a brand-new car with a lot of very expensive electronics. The last thing I wanted to do was make whatever problem the Bolt had worse by cooking something that shouldn't be cooked. Rather than being macho and jump-starting the thing myself, I thought the better part of valor was calling GM's OnStar service and asking for a tow truck to take it to the Chevy dealer. They surely would know how to fix whatever was wrong. . . I have no complaints about OnStar. They answered the phone, were polite, and arranged for a tow truck. However, the call shows how little EVs have penetrated the automotive world. The OnStar technician started to ask me questions--from a script no doubt--about my problem. He began with, "Did it turn over? EVs don't "turn over." They don't have an engine. The "starter" battery is called a starter battery because it's used to crank the engine to start a conventional car. In an EV we might better call the 12-volt battery the "accessory" battery, which it is. 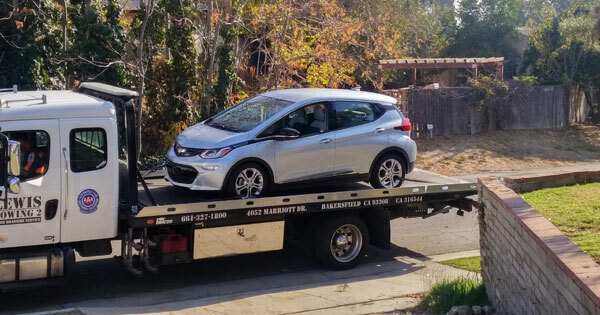 Once OnStar was straightened out on the fact that the Bolt is an EV, they promptly scheduled a tow truck--with a "dolly." The car's front wheels were locked in "park." To get the car on the truck they'd need the dolly. Of course the tow truck arrives without a dolly. The truck did have "skids," but the driver quickly saw they weren't going to work. He then decided to jump-start the car so he could put it in neutral, which he did. Off he went with the Bolt on the back of the truck. Chevy called to say it had arrived. And there it sat--for days. I called repeatedly. No one answered the phone. So I left a message every day the car was on the dealer's lot. Finally, I asked our salesman to intervene and that worked. The service department called and asked, "Why is the car here?" This was exasperating and not a good omen for ownership of a new Chevy. There was a digital trail on this car from the time I called OnStar. So I described the problem to the service adviser and he informed me the car looked fine. I explained that we'd only had the car eight days and it shouldn't do that. He offered to run diagnostics on the battery and charging system. They did, found nothing, reset the "trouble codes" and called to say it was ready to pick up. When I went to pick up the car--six days after it was dropped off (including the Thanksgiving holiday)--it still had the towing eye in the front bumper. For the next few weeks I'll keep my VOM handy and I'll check the voltage periodically. So far it's holding a charge, and if you keep the VOM on the battery while the car's at rest, you can see the car trickle-charging the battery as voltage slowly climbs from the initial measurement. What happened to our Bolt remains a mystery. Our battery was made in Korea (as was much of the car). The battery in our friend's Bolt was made in Germany. They haven't had any problems. The problem could have been due to "operator error." I could have made a mistake. I don't think so, but one never knows for sure. Our Bolt had sat on a dealer's lot in the LA area for at least six months. There was only 33 miles on the odometer when we received it. Theoretically, during the first 500 miles the car is driven, the computer's software charges the battery at a higher voltage than normal, so that when the car is delivered to the customer the starter battery is fully charged. I did notice that when I drove the Bolt back from the dealer at dusk the headlights came on. When they did, the background for the instrument cluster and the big "infotainment" screen switched to black from the default white. I hadn't noticed that before. In fact, I had been thinking about mentioning to my wife Nancy that we needed to find a piece of cardboard to cover up the big screen at night. It was so bright that it made it hard to see through the windshield. Either my memory is faulty (always a possibility) or something happened during the car's visit to the shop. The message boards for both the Nissan Leaf and the Chevy Bolt have extensive discussion on the 12-volt battery and what happens when the battery fails. The starter or accessory battery is a key component of an EV, and early Leafs had a number of failures of the 12-volt battery. However, we never had a problem in the three years we drove a 2015 Leaf. Until I am assured the car is charging properly, we're going to keep a close eye on the Bolt's 12-volt battery before we take any road trips. Now, if I can just find a way to turn off the radio and make that driver's seat comfortable. . .